In her article, Payne considers the controversy about the link between microbes and Alzheimer’s disease. She reports that those scientists who favour the microbe hypothesis have made a widespread plea that the public “embrace” their hypothesis. Payne’s reporting is factual and clear. It leaves the reader with the opportunity to consider whether the microbe hypothesis research supporters or the plague hypothesis supporters are more credible. It calls upon us implicitly to consider both theories, but to remain open to the results of the ongoing research on Alzheimer’s disease. To be open to possibility, to be able to assess alternatives as revealed by rigorous study, is the essence of science. Through her reporting, which points out the conundrum of a controversy in scientific research, Ms. Payne makes it clear why the public should not, in fact, “embrace” a hypothesis until the research and much more consideration yield a clear result. I am a clinician, not a researcher, but I work in a university teaching hospital affiliated with a research institute and so I have participated in clinical studies. When focused on one’s own research study, it is easy for a researcher to become attached to trends that one believes are emerging from one’s research. I have done enough research to realize how dangerous this is. I have learned that one must be faithful to the scientific method that has fostered the real breakthroughs. 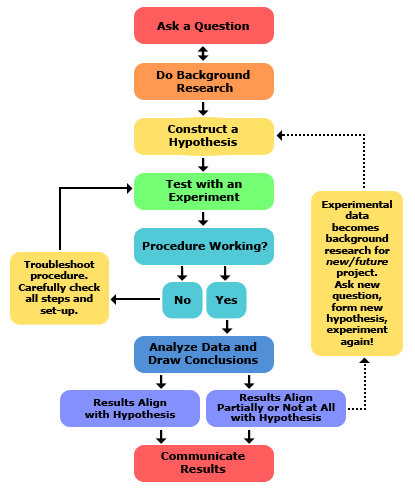 The scientific method is systematic and allows for the modification of the hypothesis. Learning the scientific method is one of the first lessons in science class in elementary school. I remember having to devise experiments in Grade 3, not for a science fair project or research but to demonstrate that I understood the scientific method. That same lesson was repeated at the beginning of many grade school science classes for years to come. The scientific method is fundamental but, like all fundamentals, it is more easily expressed than understood. Ms. Payne’s excellent article reported some news from medical science and reminded us of how difficult it is to learn the scientific method. Obviously I’m a huge fan of evidence- based medicine, but it’s a difficult concept to get across during a clinic session, especially if someone’s been getting their medical info from Dr. Google. Thanks for writing this! This is a difficult concept – the best evidence is the fact that most parents who refuse vaccination for their children are relatively well-educated, but still lacking in science literacy. The Mnookin book outlines this very well. Thank you so much for your comments. I never think anyone is interested in this, so you made my day!